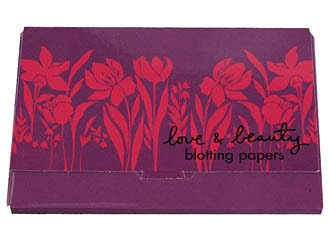 pandaphilia: Love & Beauty: Beautiful Blotting Papers? 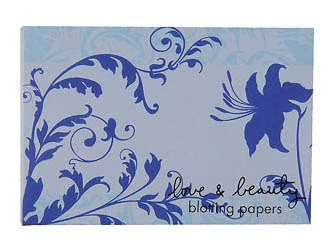 Love & Beauty, Forever21's makeup line, has wowed me with their intricate and pretty packages. 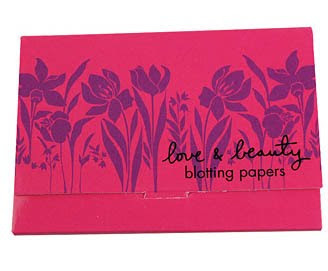 I've been sifting through the designs I like for a new post, but there are simply too many. 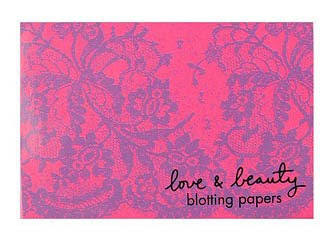 These darling blotting papers come in packages of 50 sheets in light pink or baby blue for $1.80. 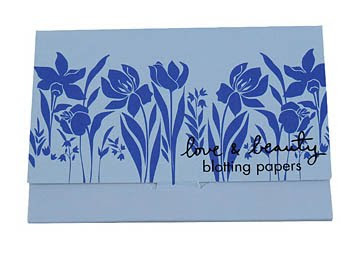 They'd also make an adorable business card holder when you've used them up. Even if I didn't have an oily T-zone, I'd still get these xD I usually control shine with powder though, but these are way too cute to pass up! PS: I want to thank all of you guys for reading my blog and commenting. I'm always so happy to see a new subscriber - it gives me inspiration to keep writing! 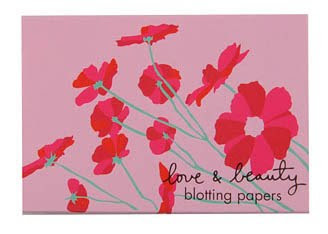 Omigosh - I can't believe the blotting papers are so cheap at F21. I constantly use them and thought that I found a great deal at RiteAid for $3 but apparently not. These are awesome...thanks for sharing! Dude I always feel like I'm the "nice" girl in the club too!